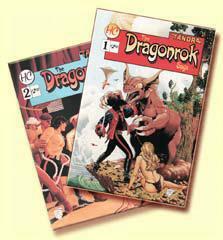 A new series from Hanthercraft in standard comic book format as Hanther begins the saga of Tandra’s second generation. This dynamic series focuses on Earthian David Galon’s son, Dragonrok, and his adventures on a world forever altered by the acts of his father. In this two volume set Dragonrok confronts an old enemy of David Galon who has sworn to make the son pay for the pain and humiliation Galon caused him. Be sure to order this set today. The beautiful fully painted cover art alone is worth the price of admission! You can order by clicking on the Tandra Add To Cart button in the bottom right corner of this page for a secure link to pay by credit card or, if you prefer to order without using a credit card, you can send an E-mail to [email protected] and ask for your copy of The Dragonrok Saga, or you can simply pick up the phone and call toll free 1-800-634-4050 to request your copy of The Dragonrok Saga today. We will include an invoice with your order and you can pay by return mail. If you prefer to order by snail mail, send your request along with check or money order to; HANTHERCRAFT PUBLICATIONS, P. O. BOX 719, CORINTH MS 38835-0719.There are no additional shipping costs nor handling charges. That’s all there is to it. Request your copy of The Dragonrok Saga by using whichever procedure you prefer, but do it now! 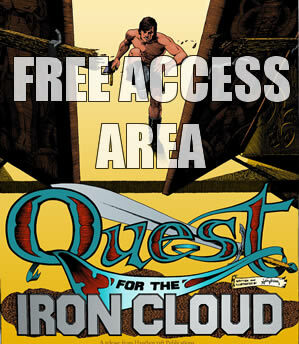 Offering high adventure, budget priced online comics. 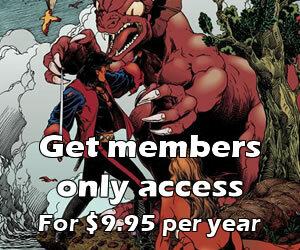 Our website includes comics books, digital comics and web comics! ARGOS WEB ENGINE 1.0 - Update on 01/05/2019 © 2005-2014 Hanthercraft Publications. All Rights Reserved.